When you’re shopping for a new office chair, it’s easy to think that you have to pay a lot of money for quality. The Ikea Markus bucks this trend – it’s a mid-budget chair that excels in numerous ways while remaining attractive and comfortable. 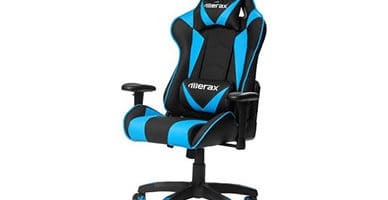 So is it this the best chair for you? Well, there’s certainly a lot to like about it. Take a look at our full review below, weigh up the pros and cons, and try imagining it in your office. Let’s start with the basics. The Ikea Markus costs around $230 MSRP, so it’s not the cheapest chair around. That said, it’s far from the most expensive and given its versatility, we think it’s reasonably priced. So how sturdy is it? Ikea furniture is often considered flimsy, but you don’t have to worry about that with the Markus. It comes with a ten-year warranty, so if you take care of it, it should survive for quite some time. It comes in four neutral colors. While none of them are particularly exciting, they all lend an air of professionalism to your workspace without seeming too imposing. Take a look at this chair. It has a distinctive appearance – not wholly padded, not wholly mesh, but a nice mixture of the two styles. This allows it to be comfortable, yet breathable, which is a must if you spend a lot of time sitting at your desk. 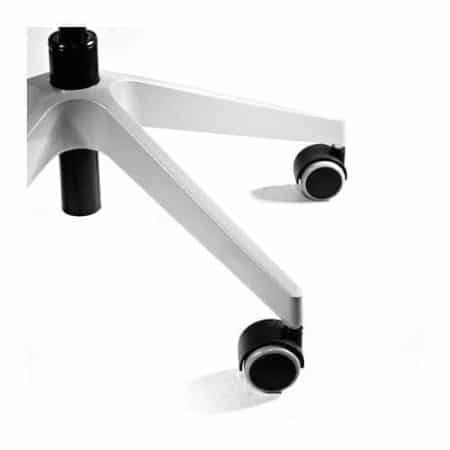 A less noticeable addition, though, are the pressure sensitive casters on the base. These have a brake that engages when you stand and releases as you sit. 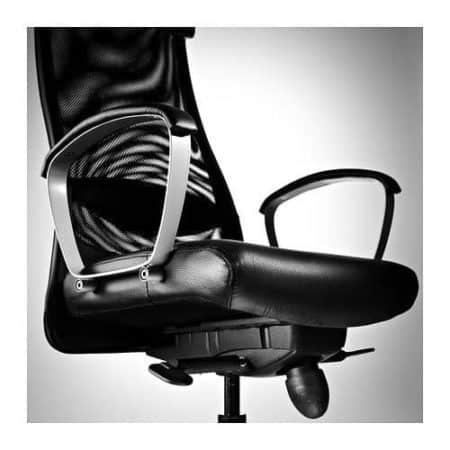 This provides stability when you need it and the freedom to move around when seated. But that’s not all! The Markus offers good, solid lumbar support which helps to prevent back strain and the associated impact on the rest of your body. Of course, the height is also adjustable and can be raised to a maximum of 22.5”. The armrests, unfortunately, are not adjustable. However, they can be removed if you find them annoying. The tilt of the chair IS adjustable, though, and there’s a limiter in place in case you find the perfect angle. The Ikea Markus can hold up to 242 pounds of weight: impressive in spite of its rather sparse design and simple construction. You will have to assemble it yourself, but it’s a fairly simple job and the instructions are especially well written. Assembly takes around 15 minutes, give or take. If we had to find a complaint with this product, it’d be that the padding is firmer than that of some of its rivals. This isn’t a huge deal: after all, a chair can be comfortable but bad for your back and circulation. That said, while it’s a minor issue, it’s one that is worth considering before you buy. All things considered, the Ikea Markus is an excellent mid-budget pick. It seamlessly blends functionality and comfort, plus its modern design ensures it looks great no matter its surroundings. So is this chair better than a high-end model? 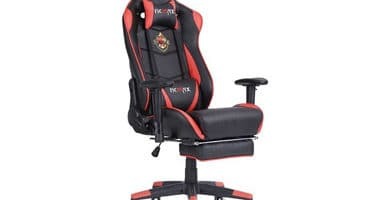 While it can’t really compete with some of the far more expensive chairs, it does exceedingly well within its own price bracket and for that reason alone, it’s definitely worth checking out. Whether it’s for your home, office, or for gaming, there’s definitely a lot of potential here. If you’re in the market for a chair that’s attractive, comfortable, and most importantly, reasonably priced, the Ikea Markus is one of the best. 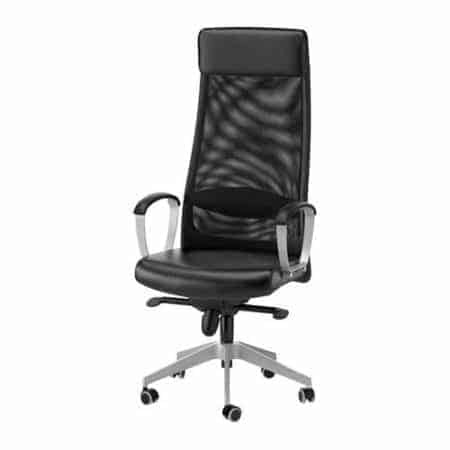 The IKEA MARKUS is a solid budget option for a new office chair - perhaps one of the best budget office chairs out there today.